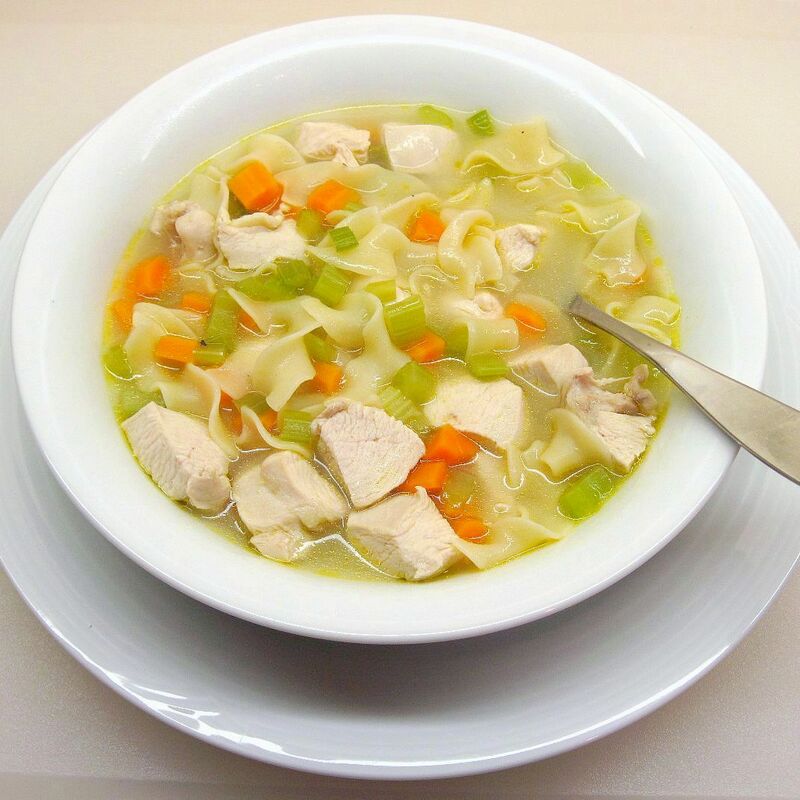 This chicken noodle soup recipe is one of the recipes I turn to when I want good soup that’s quick and easy. It can be made on a weeknight after work. Using canned chicken broth is the big time-saver with this one, and cooking the raw chicken in the broth adds extra flavor. You can use boneless breasts or thighs. It’s still soup weather in Seattle, so this “hits the spot” on a cool June evening. * Update November 3, 2010: I made my “killer” chicken noodle soup, and you can find it here. Melt butter in a large pot over medium-high heat. Add carrots and celery; sauté 3 minutes. Stir in the flour and cook, stirring, for about 1 minute. Remove from heat and gradually stir in the broth, water, salt, and pepper. Return to the heat and bring to a boil. Cover; reduce heat and simmer 5 minutes. Add noodles and chicken, and bring to a boil. Cover, reduce heat, and simmer 10 minutes. This looks like the good old fashioned chicken noodle soup! Very nice, I love to learn how to cook it too. So glad you liked it, Wanda! Sounds wonderful and love love home made chicken noodle soup,however…you have me a bit confused,,,you say it’s a recipe you’ve tried,,,and then you say it’s a recipe your going to try.And it really is not a long process at all..unless you are making the best of your home made chicken stock yourself,,,and yes that requires abit of time but heck,,,not that long…All the same,soup sounds wonderful. Sorry about the confusion, Francine! The second paragraph is about this recipe that is indeed quick and very easy. Do you happen to know the nutrion facts or if this soup is high in sodium or calories? 304 calories, 8.3g fat, 709mg sodium, 24.7g carb., 2.3g fiber, 3.9g sugar, and 29g protein. 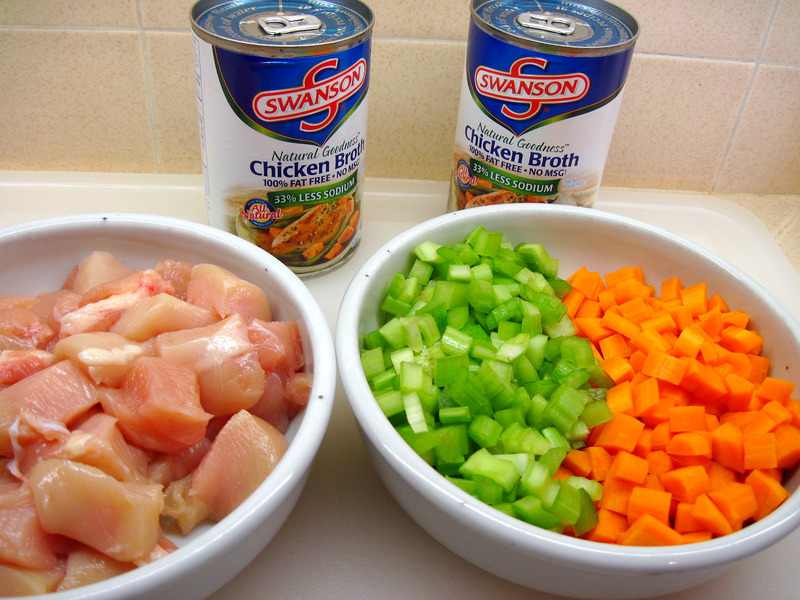 Of course, you can reduce the sodium with a lower sodium chicken broth. I have made this recipe with my homemade Slow-Cooker Chicken Broth (http://goo.gl/Ib6ZCn). It tastes even better than the soup made with canned broth and it reduces the sodium to about 309mg per serving. I am happy that I found your posting simply because this would have been a big help for me personally to cook a Chicken Noodle Soup. Since, I am about to cook a Chicken Noodle Soup right now. Thanks for your post! I will bookmark your web site now to come across again your post. Hope you enjoy it as much as we do, Maribel!